Libertarian Party presidential candidate Gary Johnson is grabbing headlines of late because of his position on marijuana. His position is simply this: if he gets elected president, he’s going to legalize it. This is nothing new for Johnson. He’s held a pro-legalization position since 1999, when he was still governor of New Mexico. As in 2012, he is the Libertarian Party presidential candidate and, thanks in part to his position on marijuana, finds himself gaining in the polls. So much so, in fact, that Johnson – the former CEO of Cannabis Sativa Inc. – is now saying he expects to share the stage with Republican Donald Trump and Democrat Hillary Clinton when televised debates are held this fall. He will need to poll at about 15 percent in a handful of national polls to make the debates. A recent Pew Center poll found him at 11 percent. The 63-year-old Johnson has been both a politician and a successful businessman. He was a member of the Republican Party until 2011, when during a presidential run he switched to the Libertarian Party. He subsequently received 1.2 million votes in the 2012 presidential election. That was the most votes ever by a Libertarian candidate for president. Johnson left the New Mexico governor’s office in 2003 due to term limits. During his tenure as governor he was known for not raising taxes. However he still managed to fund a massive road rebuilding program and leave office with a huge budget surplus. In 2014, Johnson became CEO of Cannabis Sativa Inc. 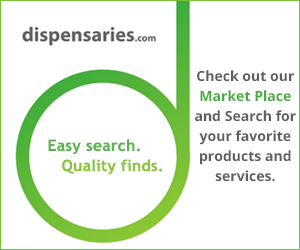 The Nevada-based company is publicly traded and operates marijuana dispensaries. It also sells cannabis-related products in states where marijuana is legal for medical or recreational use. He left the position earlier this year to concentrate on his presidential campaign. In a recent forum in Las Vegas, Johnson described his brand of libertarianism as fiscally conservative and “who cares what you are socially as long as you don’t try to force it on others,” according to the Las Vegas Review Journal. He has openly appealed to supporters of Bernie Sanders who are hesitant to back Hillary Clinton. Johnson thinks marijuana should be legal in all 50 states and that the federal government should take it off its list of illegal drugs. It’s worth noting that Johnson admits to having partaken of marijuana recently, certainly an unusual admission for a U.S. presidential candidate. He told The Daily Caller this spring that he had, just weeks prior, eaten marijuana-infused taffy (called Cheeba Chews). He said he still feels marijuana is less harmful than alcohol. Johnson feels that this fact will help cannabis become legal across the country, eventually. For proponents of marijuana legalization, Johnson is certainly a candidate to watch. And, in a broader sense, his growing popularity might indicate that the massive change in attitude toward marijuana across the United States is now being reflected in presidential politics.